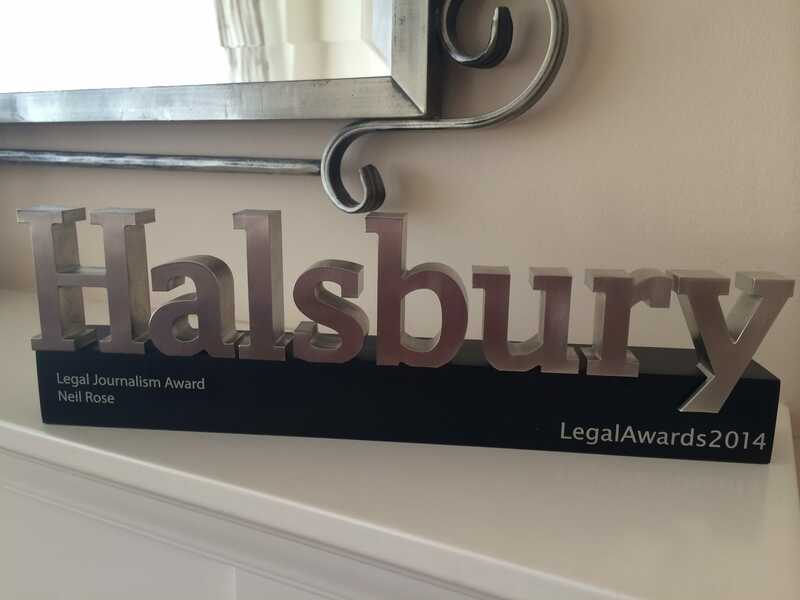 Legal Futures founder and editor Neil Rose won the Legal Journalism award at last night’s Halsbury Legal Awards. The judges said he is “guaranteed to be ahead of the game. He is renowned for his ability to seek out the latest news as it happens and for his superb reporting skills”. 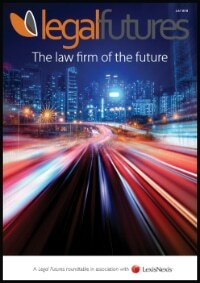 From a cold start-up in April 2010, Legal Futures is now recognised as the leading resource on innovation in the legal market and developments in legal regulation. The judges were told that in the year to 31 May 2014, readership grew 38% to nearly 300,000 unique visitors, who between them read well over a million pages on the site. 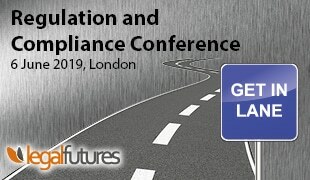 Litigation Futures, which launched in July 2012, is on course to record over 100,000 unique visitors this year, despite its highly niche subject matter, focusing on costs, funding and the Jackson reforms. 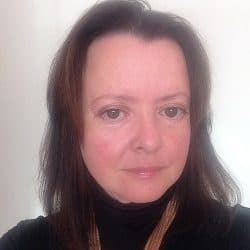 Neil Rose said: “The legal media is a particularly competitive sector, and we are proud to have established Legal Futures and Litigation Futures as significant voices in the market in the teeth of the recession. We have achieved this through high-quality reporting of the issues that are of direct concern to our readers, and in-depth analysis of what they mean for the future of the profession. Also shortlisted for the award, which was sponsored by Doughty Street Chambers, were: Catherine Baksi, Law Society Gazette; Lyndon Harris, UK Criminal Law Blog; Jon Holbrook; Ben Rigby; and Pinsent Masons’ Out-Law.com. Well done Neil and team; well deserved! I always go to the Legal Futures website before I do anything else in my day so I can see what is going on! Many congratulations on a very credible website which generates sensible debate. Well done all! Fantastic news and well deserved Neil and team. Well done to Neil and team.